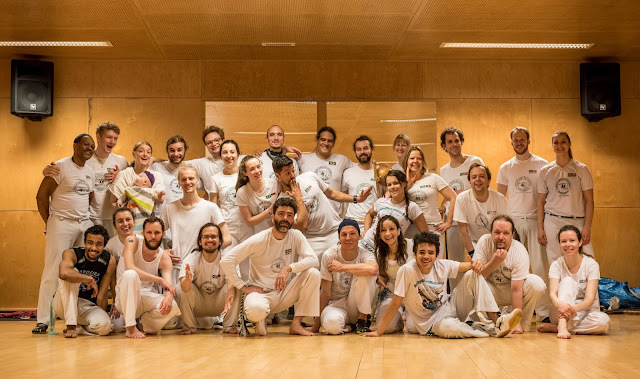 Velkommen til Grupo União na Capoeira Trondheim og NTNUI Capoeiras hjemmeside! Gruppene har et opplegg med flere fellestreninger og felles nybegynnerkurs. NORSK | Hei, og velkommen til nytt semester! Nybegynnere er alltid velkommen på trening! Torsdager legges opp for basistrening med grunnleggende bevegelser, mens de andre treningene tilpasses til nivå for både nybegynnere og videregående. NB: vi setter opp plan og annonserer hvilke fredager det blir! Følg med på vår facebook-gruppe. ENGLISH | Hello, everyone, and welcome back to training! New beginners are always welcome, just show up in trainings! Thursdays are especially for beginners with basic movements, but all trainings will be adjusted to skill levels. We speak english in trainings for as long as our international students prefer that - Welcome! First training of the semester is WEDNESDAY January 09th 2019. Fridays (ca. evry other) - RODA, MUSIC 1730-2000 & social stuff - Svartlamon Barnehage - next to DansiT (address: Strandveien 33, entrance kindergarten) NB: we will announce which fridays we meet up for roda and music practice. Follow our Facebook group for further information! 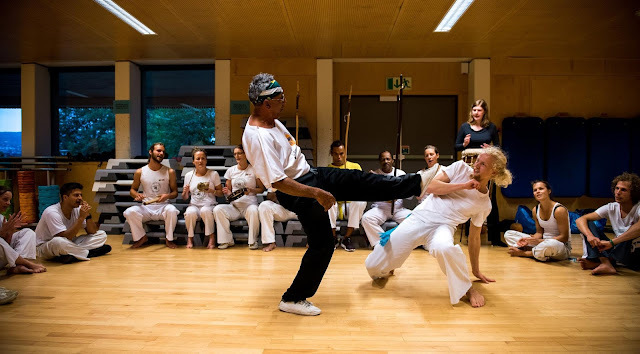 If you are in town already, and want to get to know the group and a kickstart to capoeira in Norway - join our event in Bergen: GUC Vårroda 2019 Facebook-event. 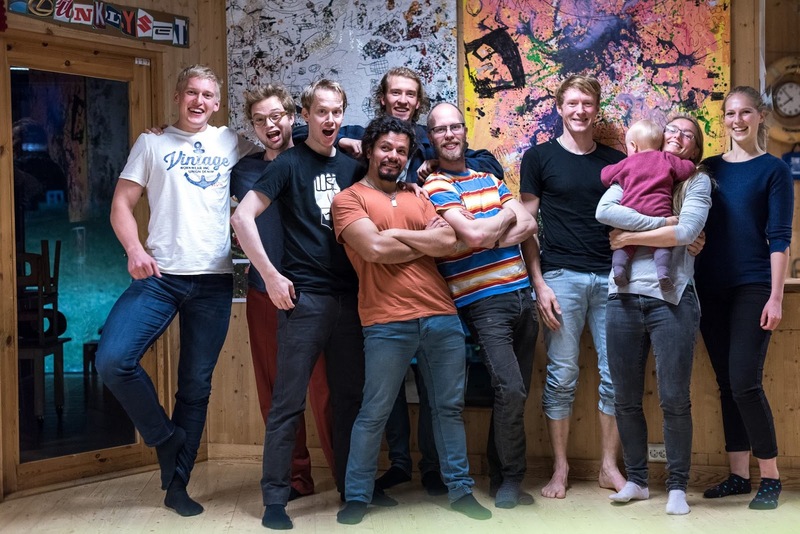 Yet a great opportunity to meet Capoeiristas from Norway and Europe (more details to come). Yet a great opportunity to get to know the whole group and enjoy capoeira environment in Norway with guests from Europe (more info to come). Capoeira is an Afro-Brazilian martial art developed in the 15th century by Brazilian slaves. Capoeira is often referred to as a "fighting dance", since both elements are important parts of Capoeira - fight and dance. The practitioners play together in a "roda", meaning circle in Portuguese. 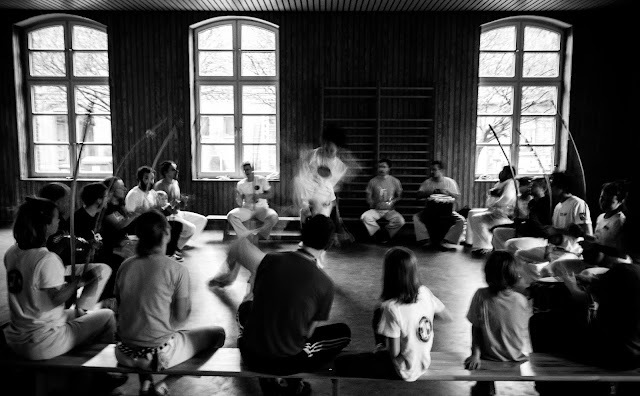 In the roda we challenge each other to a one-on-one game of martial arts, camouflaged as dance, while the others around them build the atmosphere and bring energy to the players in the middle using instruments, clapping and song. 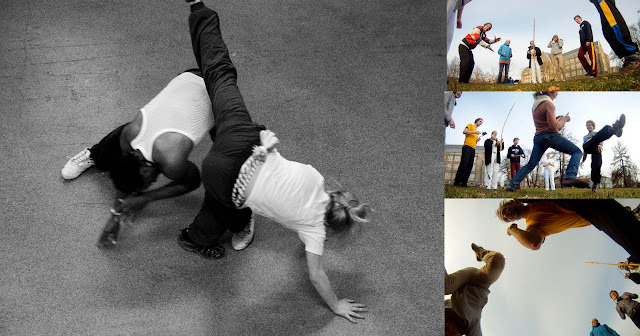 All while training balance, coordination, strength acrobatics, flexibility, music and rhythm. In training you will also use your creativity through interaction and improvisation that happens inside the roda - and later outside the roda when you feel ready. 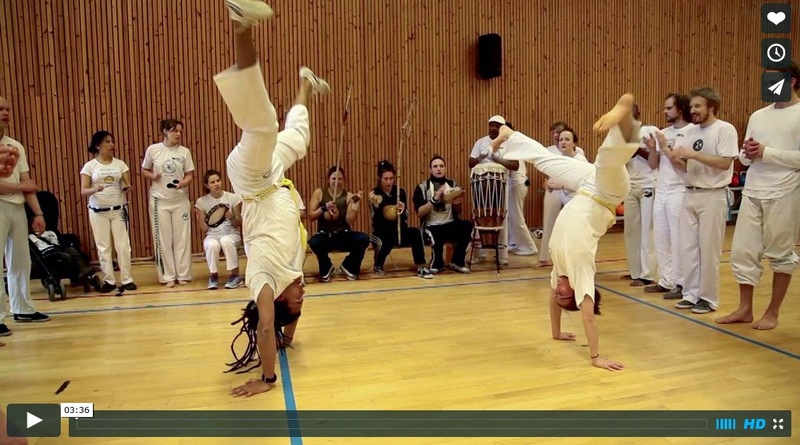 No matter the age, gender or physical form: Capoeira works for all! 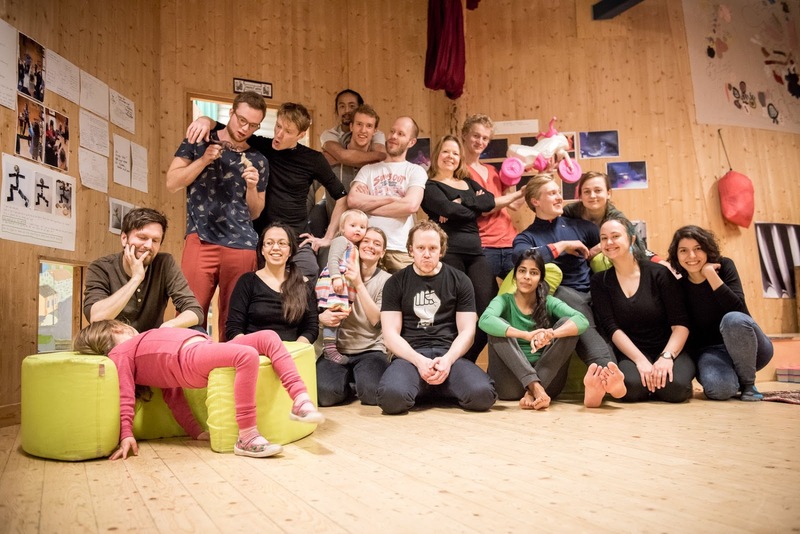 New beginner trainings are free if you are a member of NTNUi, the only thing we require is that you pay the annual martial arts insurance of 210 NOK (more information about that at the training). /// Updates & announcments are communicated at training & through our Facebook group! Compilation video from GUC Vårroda (a Capoeira workshop) in Trondheim. Hei, og velkommen til nytt semester! Hello, everyone, and welcome back to trainings again! First training of the semester is WEDNESDAY August 22nd. ca. evry other Friday - RODA, MUSIC 1730-1900 & social stuff - Svartlamon Barnehage (address: Strandveien 33, entrance kindergarten) NB: we will announce which fridays we meet up for roda and music practice. Follow our Facebook group for further information! 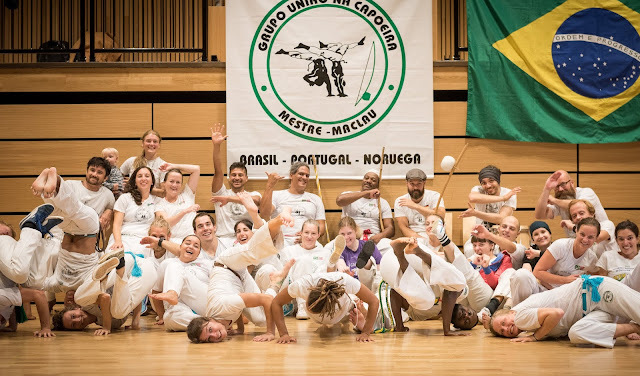 If you are in town already, and want to get to know the group and a kickstart to capoeira in Norway - and dont mind going to Bergen for a weekend around start of the semester: GUC Summer festival 2018 Facebook-event. NY: ca. annenhver Fredag - RODA/MUSIKK 1700-1900 - Svartlamon Barnehage NB: vi setter opp plan og annonserer hvilke fredager det blir! Følg med på vår facebook-gruppe. First training of the semester is Monday August 28th. NEW venue at ca. every other Friday - RODA/MUSIC 1700-1900 - Svartlamon Barnehage (address: Strandveien 33, entrance kindergarten) NB: we will announce which fridays we meet up for roda and music practice. Follow our Facebook group for further information! Grupo Uniao na Capoeira Trondheim inviterer til Vårroda 2017. Spesielt invitert denne gangen er vår gruppes grunnlegger, Mestre Umoi! - nybegynnere er velkomne på trening hele året, men vi kjører en felles oppstart i fra 20. februar! GUC Trondheim og NTNUI Capoeira er arrangør og får besøk fra Oslo, Ås, Bergen og gruppens grunnlegger, Mestre Umoi! 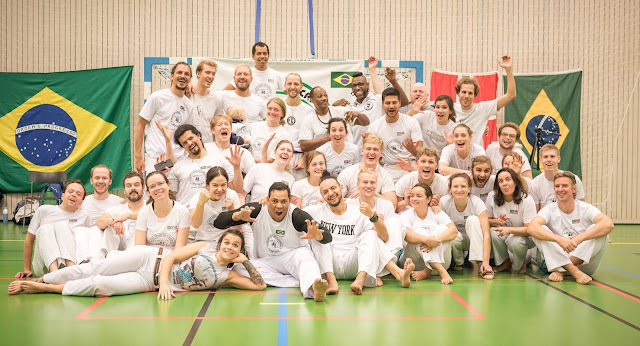 Her blir det i tillegg til capoeira muligheter for å delta på rytmeworkshop med studenter fra Trøndertun folhehøgskole og smake på brasiliansk mat og lære litt mer om andre brasilianske kulturuttrykk. Med sommerfestival i Trondheim har vi startet høstsemesteret! Vi har åpne treninger for alle i August - 15. September! Nybegynnere trener også mandager i DansiT! www.capoeiratrondheim.no. Enkel-tema. Drevet av Blogger.